Upon successful completion of this online class, you can apply for a Virginia Concealed Handgun Permit which will allow you to carry in 36 states. How does this work? 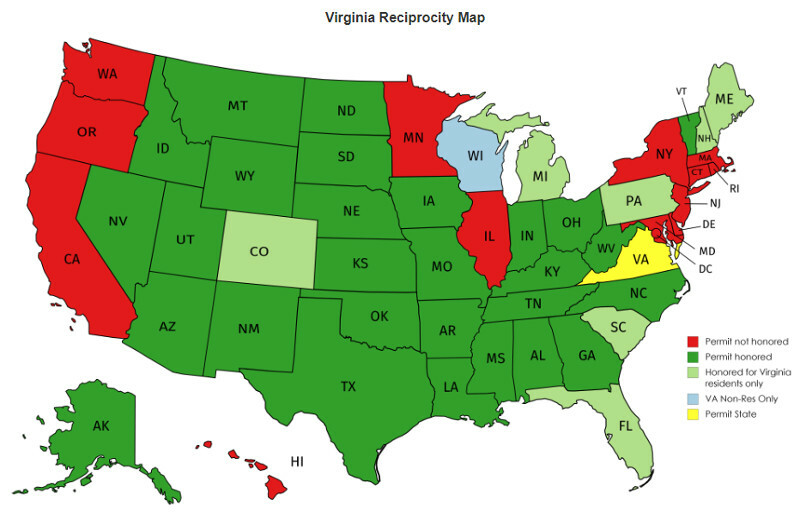 Virginia allows residents of any state to apply for a Virginia Concealed Handgun Permit. The required training for the permit can take place live in a classroom or online. Since there is no shooting qualification required, once the classroom or online session is completed, you may apply for your permit. US Gun Class trains thousands of students each month in live classes around the country. We have taken our knowledge and experience and have created the absolute best online concealed carry class available. We have condensed the information from our live classes into 12 lessons each about 10 minutes in length. See sample lessons below. Click the arrows in the lower right to view full screen.